Thank you everyone who Commented on my post for the 'Cake & Candles Giveaway', and for your lovely Birthday wishes... unfortunately a few ladies were 'no-reply', so your names couldn't be included... sorry I can't figure out how to get the Random Number Generator image here, so I will just go ahead & publish the winning name. You will be receiving the parcel of goodies! If you will kindly email me your postal details, I'll get it sent away to you. Wendy is working on a stunning piece of embroidery at the moment, called A Year Of Stitches... it's a slow-growing but gorgeous piece of work... I hope you'll click on her name & go to see her amazing project. Lovely Asta... what a great fabric, & I'll be able to use those threads for sure... my EPP skills haven't yet extended to clamshells, but I'll give them a go. Both cards from the ladies are so pretty - thanks again Asta & Julie. I put the last few stitches in my piece on Friday... it's called Santa's Workshop, & is a pre-printed design from wonderful Aussie designer Natalie Bird (The Birdhouse). Although they were the most fiddly aspect of this stitchery, I think that the two mice are just the cutest part of the whole piece! Sorry about the colour, nighttime pics don't always play nice, do they?! There's a bit of excitement for me this week... I'm off to RETREAT on Friday... woo hoo! Normally we have a booking for late April, but this time it's a month earlier... just hope the weather will be kind to us & not too hot. I haven't yet decided what to work on, but I'm sure I won't be lacking projects to inspire me. Three days of sewing bliss; can't wait! What's not to love about a gorgeous bush setting less than 45 minutes from home?! Thank you to my new Followers for your interest in my blog; I hope you'll enjoy reading my musings. Congrats to Wendy .......and have fun at the retreat!!! Happy Belated Birthday and congratulations to Wendy. I love those spooky fabrics you received. Hope you have a wonderful time at the retreat too. I agree. Those little mice are so cute. Have a wonderful time at retreat, Anthea. I'm sure you will! Beautiful stitchery Anthea, have a wonderful time at the retreat. Santa's Workshop is such a sweet pattern! I love how it turned out. Congratulations to Wendy, and thanks for a new-to-me blog to follow! Have a fabulous retreat, it sounds like heaven. Great gifts that you received. Those fat quarters are wonderfully Halloweenish. And such sweet mice are certainly a fun stitch. Have fun at the retreat. Congrats to Wendy! And have fun at your retreat. I just got home from mine, and I'm exhausted. We have so much fun, sewing and eating and laughing and talking! Oh, and maybe a short field trip for some new fabric and thread. I'm glad you had a nice birthday and can extend the celebration to your retreat weekend. Have tons of fun! I just read this and am now doing a happy dance! Thank you, I will email you now. And a big thank you! Enjoy your retreat and congrats to Wendy! Have fun at your retreat....as if I need say that. Love Santas workshop. Have an awesome time at your retreat. 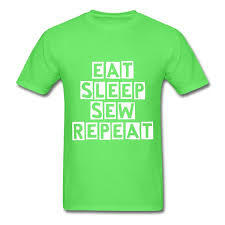 Pack some sewing just incase you get a chance to do some between eating and chatting LOL. The Christmas stitchery is so lovely Anthea. Thank You for visiting my blog... I hope you have a good look around. My creative interests include stitchery, English Paper Piecing, bag making, a bit of cross stitch, & quilts. I have way too many ideas in my head & not enough time to make them all!